Twenty years ago, having not met any of the other Assholes yet, my Oscar parties were just my younger brother and I in front of a TV. I was 13 years old and hadn’t seen most of the nominated films but I still felt like my opinions on every category needed to be heard. Not having a blog yet, my 11 year-old brother became the first victim of my Oscar rants. Not that he minded. Although less invested in the awards themselves than I was, I think he joined me each year for the fun of watching me guess wrong over and over again. “You’re really bad at this,” he used to say. Twenty years later, I’m still really bad at this. I watch as many nominated films as I can now but only managed to call 12 of the 24 awards on Sunday. That’s 1 in 2 which I remember was pretty much exactly what I scored back in the early days. So all that preparation, sitting through H arry Potter and Transformers movies just to have an opinion on visual effects, for nothing. Not that I didn’t enjoy losing. Despite Neil Patrick Harris’ awkward hosting (“We’ll be right back with Oscars for Best Live Action Short, Animated Shorts, and Bermuda Shorts” being the low point), it was a great night full of red wine and spicy mustard that Jay brought back from Paris. There were pleasant surprises too. I don’t mind losing when losing means Big Hero 6 gets to take home an Oscar or when the excellent Whiplash takes home more than anyone but Sean expected. Now that awards season is officially over, I’m a little burnt out. It happens every year.Starting on nomination day, I hit the ground running seeing so many movies that by the end the thought of sitting through another movie makes me exhausted and the smell of popcorn makes me nauseous. Because we have this site now, taking my usual post-Oscar break isn’t an option so I went out and rented Requiem for a Dream, one of Luc’s favourite movies that I have been putting off seeing for fifteen years. I didn’t know much going in but I knew enough to think it would be unpleasant and 2000’s nightmarish cult classic did not let me down. Despite some scenes of hope and beauty early on, it started out sad and only got more punishing as it went on. Director Darren Aronofsky’s unusual filmmaking lets us experience the pain and anguish from the point of view of the characters. His style separates Requiem for a Dream from more conventional films about addictions. 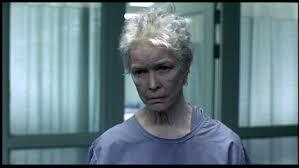 Requiem for a Dream mostly stands out because of Ellen Burstyn who, at the age of 68, was a good enough sport to walk around with 10 and 20 lb fat suits and sat wit5h the makeup department for hours putting on uncomfortable prosthetics. She gives a performance that’s so heartbreaking that the cinematographer reportedly sobbed through her big scene. She won an Oscar for this, right? Nope. Just checked. She lost to Julia Roberts for Erin Brockovich. Come on, guys. No wonder I can never predict your choices. This entry was posted in Rants, Raves and Righteousness and tagged addictions, Darren Aronofsky, Ellen Burstyn, Neil Patrick Harris on February 25, 2015 by Matt. Matt, you never fail to make me smile. Ellen Burstyn is a favourite of mine since…well, forever. And I know this movie may be punishing to some, but I really love it. It makes me feel all fizzy inside. Glad you got around to watching it; even gladder that I get to hear about it. p.s. You may not be the best at predicting Oscar wins, but I still think you’re the best at discussing the options! I like your review. I’ve never heard the word “fizzy” to describe how someone feels inside but, having just watched the movie, I know exactly what you mean. I really liked the movie and am glad I watched it. So happy you got FINALLY got around to watching it. I truly wasn’t sure what you would make of it. Especially the parts which are more difficult to watch… you know, you and your unreasonable fear of blood and all! Jared Leto and Jennifer Connelly are so accurate when it comes to portraying what a co dependent, toxic and abusive relationship. Loved it. I had to read it twice to confirm you had not seen this movie before – I’m very surprised and glad you enjoyed it. It’s not an easy movie but it’s a great one. 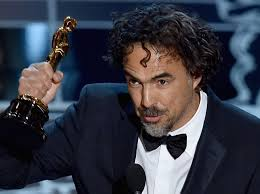 And as for the Oscars, you are right to point out how unpredictable the voting is and how often the Academy makes strange choices. Julia Roberts winning Best Actress is one of many examples – nothing against her or Erin Brockovich but it just does not measure up to this performance by Ellen Burstyn (not much does, it’s amazing).